The Issue of the Year for 2016 is to Build G7 Cyber-Security Norms. Boston Global Forum (BGF) provided input to the agenda for the G7 Ise-Shima Summit. Global Economy and Trade, Development, and Quality Infrastructure Investment were three themes of the summit. Given the importance of the Internet in all three areas, BGF encouraged the G7 to address the following actions concerning cybersecurity at the summit. These actions have as their goal to raise the general level of security in cyberspace. 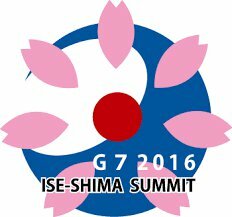 The logo of the G7 2016 Ise-Shima Summit, the 42nd G7 summit, held from May 26-27, 2016, on Kashiko Island, Japan. 2015 GGE norms by reference, as the Ise-Shima Norms. for Cyber Peace and Security are two such examples. The full recommendations are available here.